I was lucky enough to start my career at a school that was trauma-informed from the ground up. Mental health counseling is part of the school’s mission, so every decision was made with that in mind. Because it was my first post-college job, this became normal. I only started to realize how not-normal this orientation was when I started grad school, and soon after, began attending education conferences. When I first got out of my therapeutic-school-bubble, it seemed like I was the only person talking about mental health and trauma in schools. I wasn’t, of course; there are plenty of organizations, schools and individuals who have been doing this work for a long time. Yet it seemed at the time that we existed in small pockets; it was hard to find each other; we didn’t have a hashtag. Fast forward to 2018, and trauma-informed education has attained educational buzzword status. Even Oprah is talking about becoming trauma-informed. It seems like every day there is a new book, TED talk, or blog post about trauma’s impact on children in schools. Part of me says – YES! Finally, we are talking about this. Yet, as with any complex topic that becomes a buzzword, we run the risk of losing meaning and nuance. As more people latch onto the surface-level teachings of trauma-informed work, it’s important to bring them in with intention and thought. With that, I’d like to offer some suggestions to the growing field of trauma-informed education. Trauma-informed means anti-racist and against all forms of oppression. We can’t be trauma-informed without addressing the trauma of racism, sexism, transphobia, religious discrimination, and all forms of societal oppression. Trauma-informed educators must critically look at their own participation in these systems as well as whether they perpetuate inequitable school structures, and work actively to dismantle them. Trauma-informed education should be one aspect of a holistic approach to mental health. Trauma is one factor in the wider picture of a student’s mental health needs. Trauma-informed teachers should implement universal mental health supports, advocate for funding and access to mental health services, and seek to connect students to resources whenever possible. We need to move beyond ACEs as a shorthand for trauma. I write at length about this issue here; the short version is: ACEs “scores” can be harmful to students when administered by schools and we can do our work in more nuanced ways. “Mainstream” schools have lessons to learn from those who have been working with trauma for a long time. Public schools can and should partner with educators and mental health professionals who have been working in trauma-informed settings for years. Shelter educators, alternative school teachers, those who work with youth in the juvenile justice system – they all have insight and wisdom to offer. We don’t need to reinvent the wheel. Trauma-informed education and punitive discipline cannot coexist. Zero-tolerance policies, suspensions, shame, and unnatural consequences do not work for students who have been impacted by trauma. These procedures and policies only perpetuate harm and damage the relationships that could otherwise be powerful sources of healing. The same goes for rules that require strict adherence to authority. We need to rethink the structures and environment in our schools, not just our individual classroom practices. 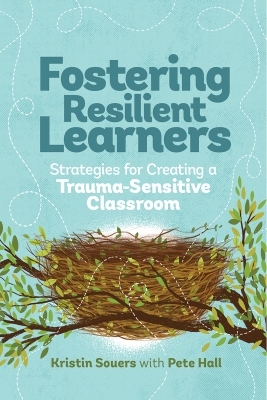 Trauma-informed education isn’t a set of strategies. Addressing the impacts of trauma on children is ultimately an exercise in empathy, patience, and flexibility. Although strategies are a good entry point to the work, we must constantly turn our focus to developing the capacity for the mess and challenge that is sustaining relationships with kids, no matter what. I hope that the momentum around trauma-informed education continues to grow, and that we can carry these truths forward with us. One of the biggest things I learned from my work in a trauma-informed school was to embrace the gray areas and the struggle. That’s what I hope for us all in this movement. This is a question posed by a student group working with Tom Rademacher. It stopped me in my tracks when I read it, in a photo posted by Tom of whiteboard notes from a student activist planning session. The question, to me, is the whole ballgame of education. When our students want and need to talk about what’s important to them, do we show up? Do we create space? Do we set aside our lesson and just listen? Do we sit in the discomfort, because we serve our students, or do we avoid hard conversations in our own self-interest? In the last few months, I’ve been thinking a lot about how our own fears as educators (and people) can drown out our ability to hear what our students are really saying. In the aftermath of yet another school shooting, we expect that our students are going to be scared. We, as the adults, are also scared. Will I die today in this place? It’s a horrifying question to consider, yet we see images of the victims and can’t help but feel connected. I teach English, too. I would stand in front of my students, too. Our students see themselves: I would send that text. I would speak out if I survived. I would be terrified. Yet, what do we do when our students see themselves reflected not in the victims, but in the shooters? In my time teaching at a therapeutic school, many of my students were more likely to be categorized as bullies, not targets. Their “challenging behavior” was often what landed them at our school- or, their original school’s response to that behavior. Many of these students lacked coping skills and healthy boundaries. They struggled to form and sustain reciprocal relationships. Faced with trauma, poverty, mental health challenges, and a whole range of adverse experiences, these students were often in survival mode. Doing the best they could. Survival mode isn’t inspirational. My students were often unkind. They made awful choices. They lied and lashed out and broke stuff. I cared deeply about every single one of them, even though it felt impossible sometimes. That was my job. I saw the magic in every one of them. Even when they were jerks. I cared deeply about every one of them. And that care made it possible for me to hear them say “I am going to bring a gun to school” and really listen to what they meant. As I write this, I feel the tension and I hear objections echoing. “We have to take all threats seriously.” Yes, I agree. “We can’t make excuses for these perpetrators’ behavior.” I agree. So when a student who I care about says, “I want to bring a gun to school,” how should I respond? Or should I say, “That sounds like a really intense feeling. Tell me more?” Should I say, “I really care about you and it makes my heart hurt to know that you are that angry. Let’s talk about it?” What would it look like to set aside my own fear and let myself empathize with a student who is empathizing with what I perceive as evil? What would it look like to recognize the complexity of trauma and how victims so often become perpetrators? What would it look like to learn into that messiness and choose empathy instead of fear? I wish I knew how to identify when a student is reaching out for help or when they have crossed over the point of no return. I wish I knew what the line was – when a student is speaking their truth and seeking connection, and when a student is sharing a murderous plan. I wish I knew how to prevent these atrocities. And I am not making a case against sharing information, reporting, or intervening. But I’m wondering. When we talk about school shootings, can we be brave enough to recognize that some of our students identify with the shooter? And can we hold them in our care, our empathy, and our curiosity? Can we pull them closer into our community and say, “No matter what awful thing has crossed your mind, you still belong here”? I don’t know the answers. But I am committed to wrestling with them until we find a better path forward. I am holding all of the victims, past and future, in my heart, and all of my magical, struggling students, too.